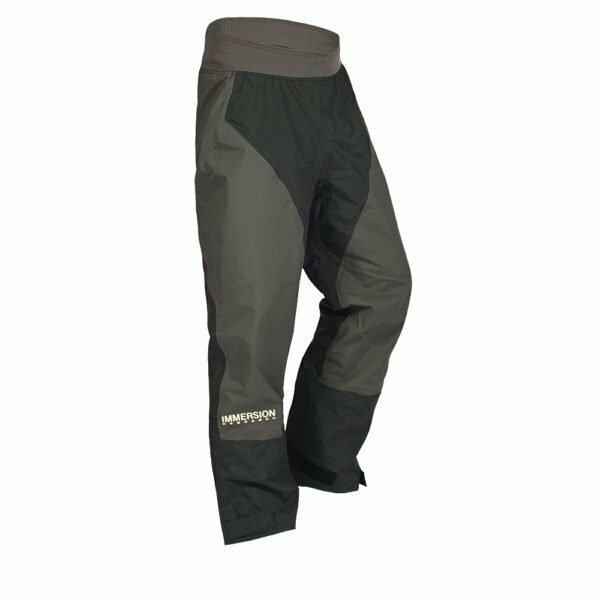 When it comes to durable paddling pants made for the rigors of whitewater kayaking, the Arch Rival Paddling Pants have you covered. We’re paddlers from the Appalachians, after all. Our season is in the Spring when snow is probably still on the ground, the skies are slate gray, and there’s gonna be rhododendron- perfect conditions for the Arch Rival pants. The Arch Rival paddling pants are with made 200×200 denier pack cloth, and laminated with our proprietary WhiteOut™ breathable barrier. At the top of the pants is a 4″ high 3mm neoprene waistband that tucks nicely under your spray skirt, and at the bottom are 3 panel, tight fitting neoprene ankle cuffs that are durable, comfortable, and keep a lot of the water out.